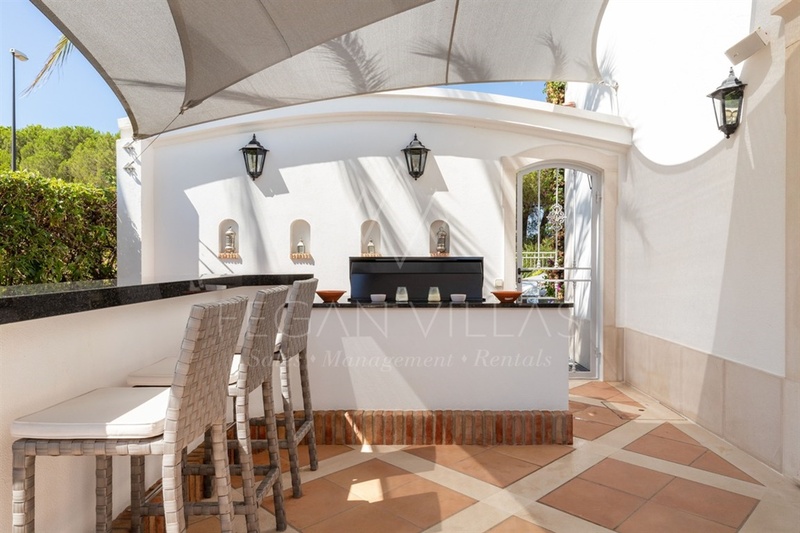 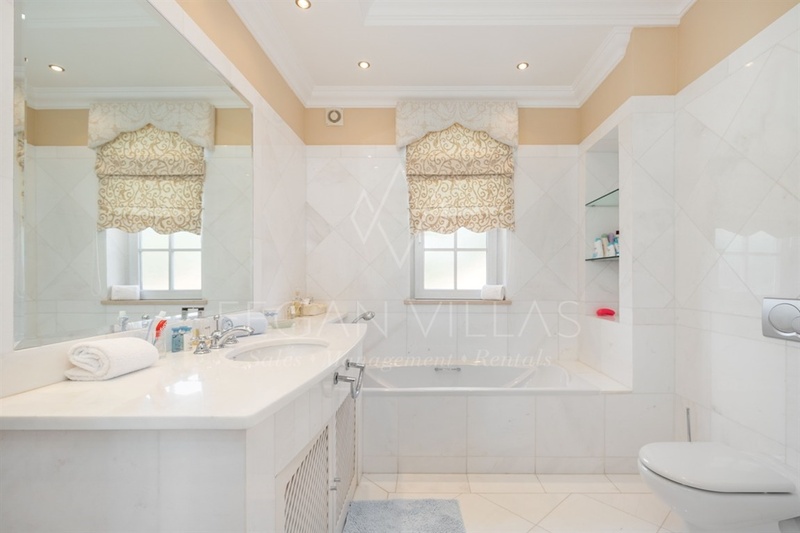 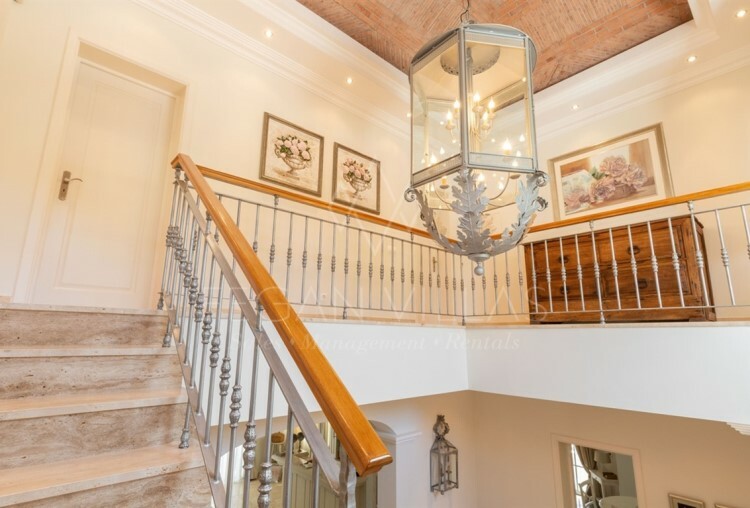 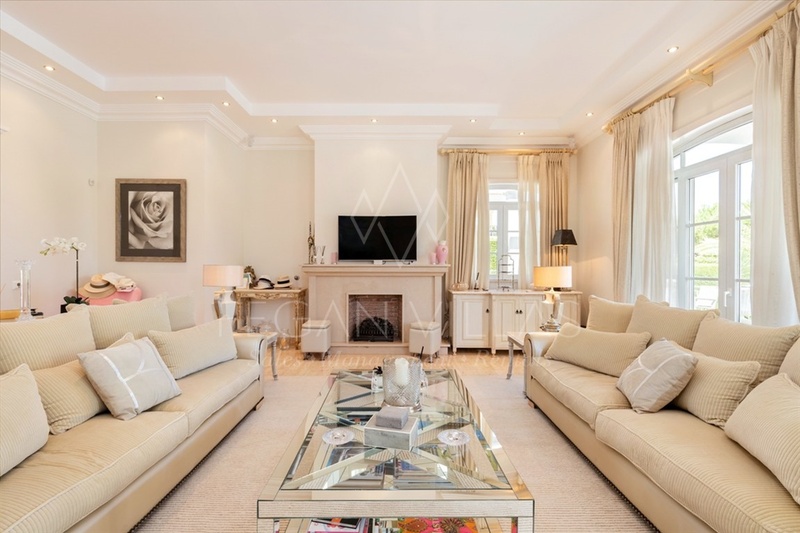 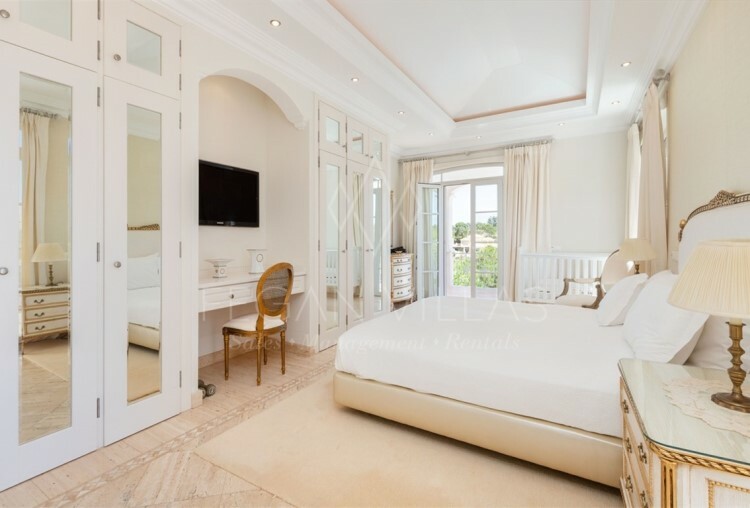 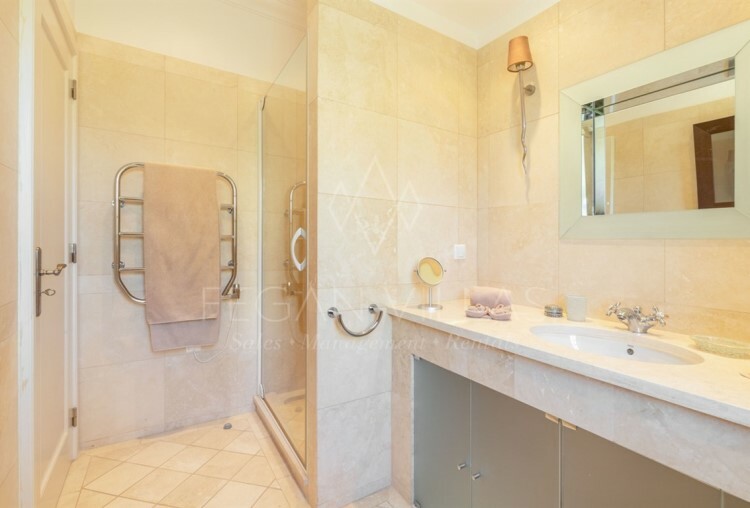 Stylish classical villa set in a quiet location on the golf course at Vila Sol, close to Vilamoura and it's wonderful beaches, renowned marina and championship golf courses. 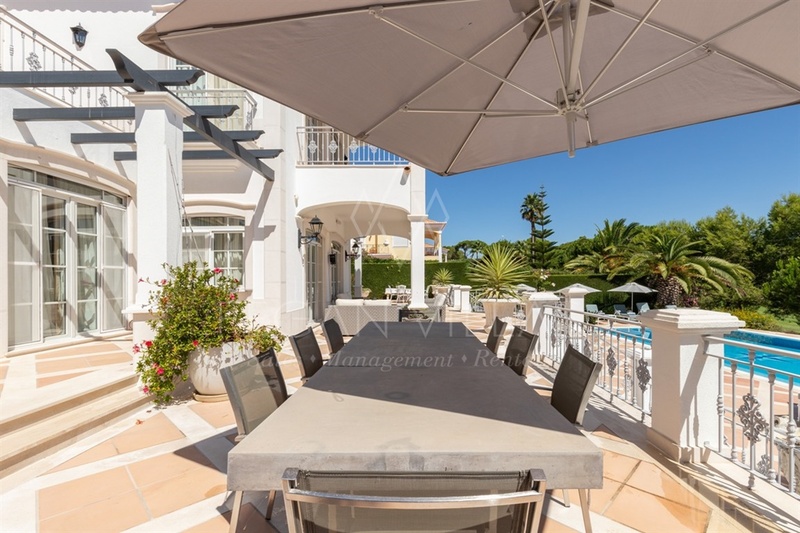 This villa is in immaculate condition, elegantly decorated and enjoys splendid views on to the Vila Sol fairways. 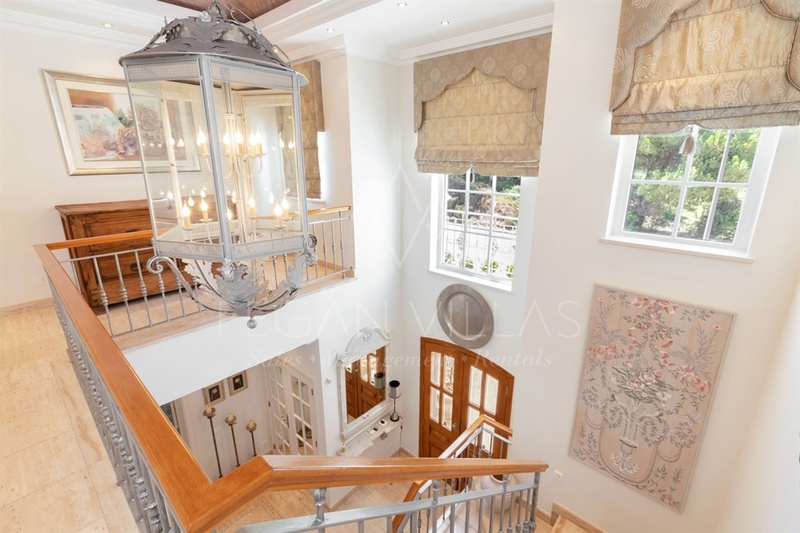 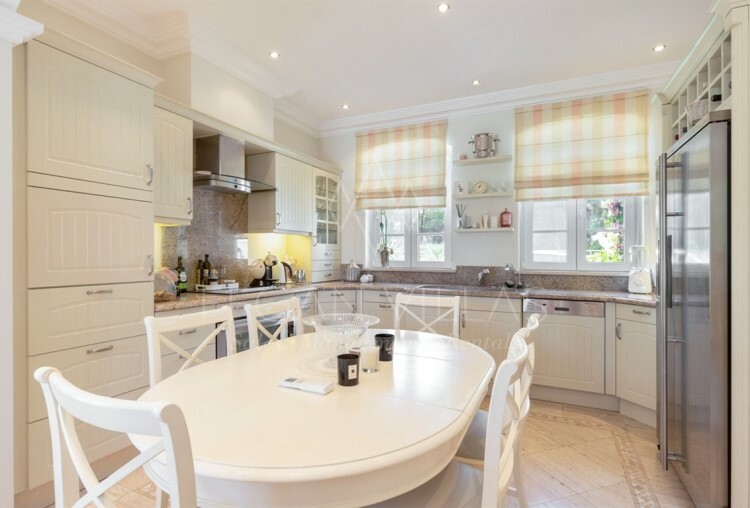 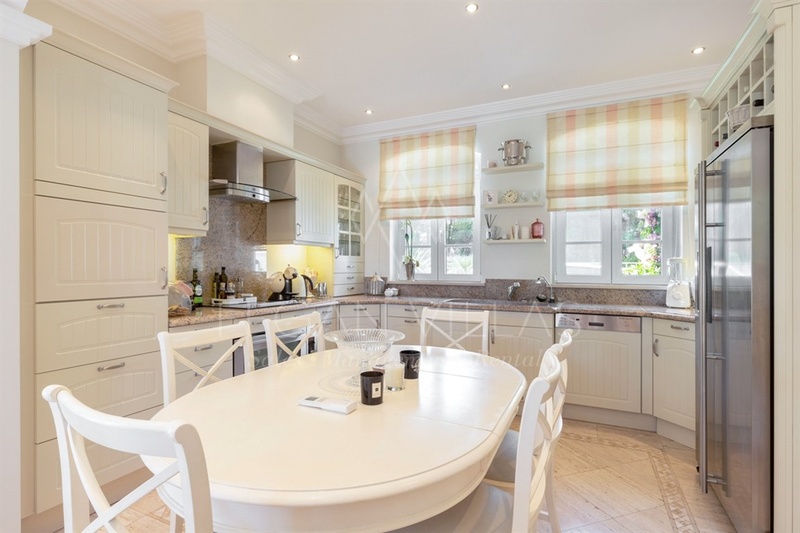 The imposing entrance hall with a feature ceiling leads to a modern state-of-the-art kitchen, fully fitted with AEG and General Electric appliances with adjoining dining area. The bright and comfortable living room with fireplace includes a bar area and provides immediate access to the wonderful terraces, pool and garden. 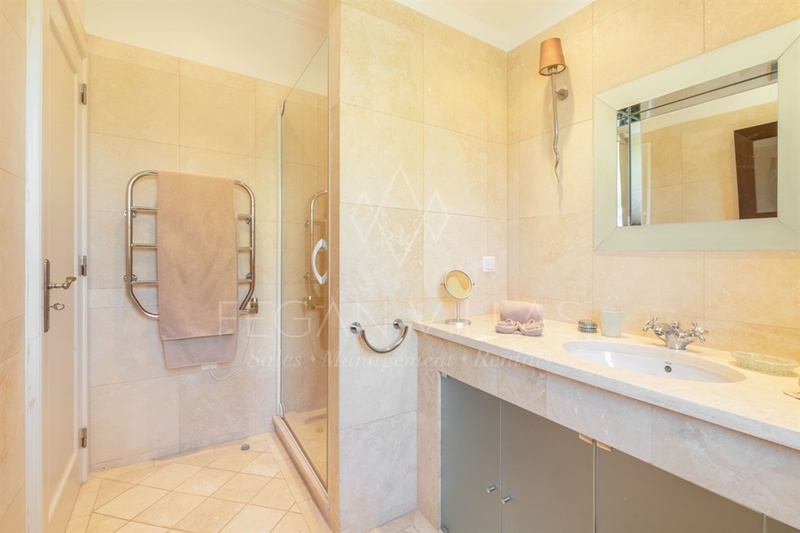 In this floor there is also two spacious en-suite bedrooms and a guest toilet. 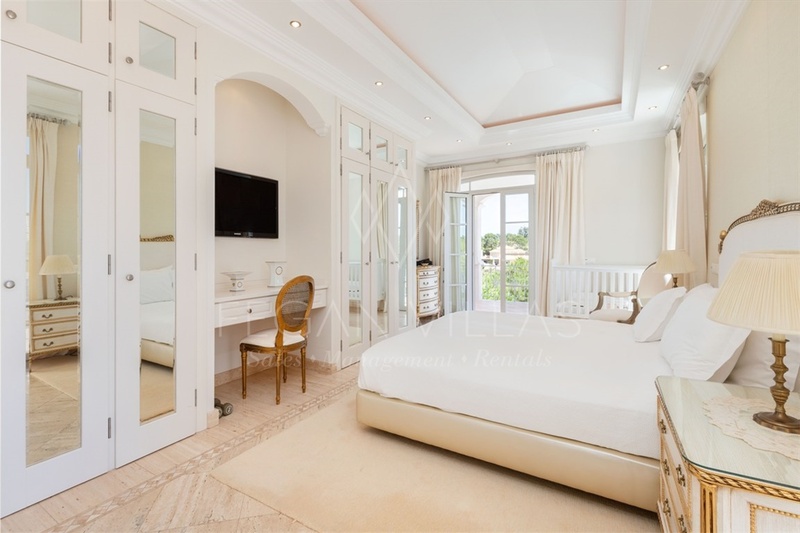 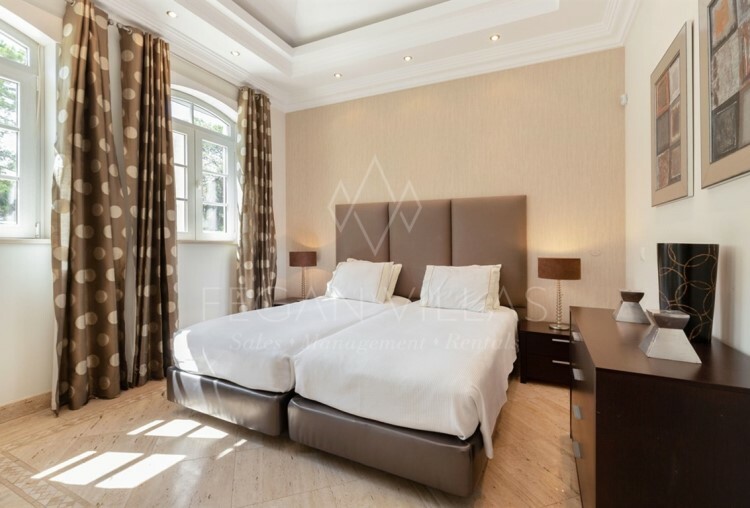 On the first floor, another ample guest bedroom and a master suite benefiting from private panoramic terraces. 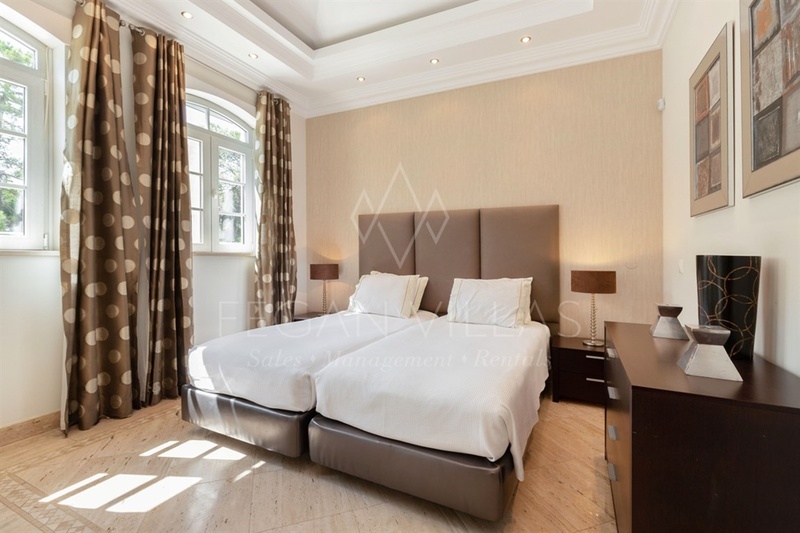 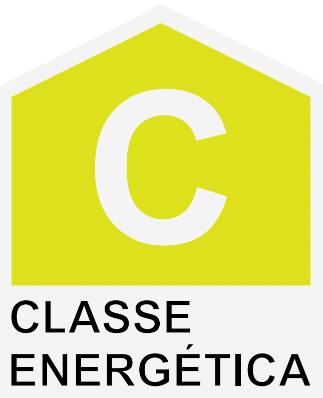 The basement presents an additional bedroom, a spacious bathroom, a fully fitted laundry, a storage room and a garage. 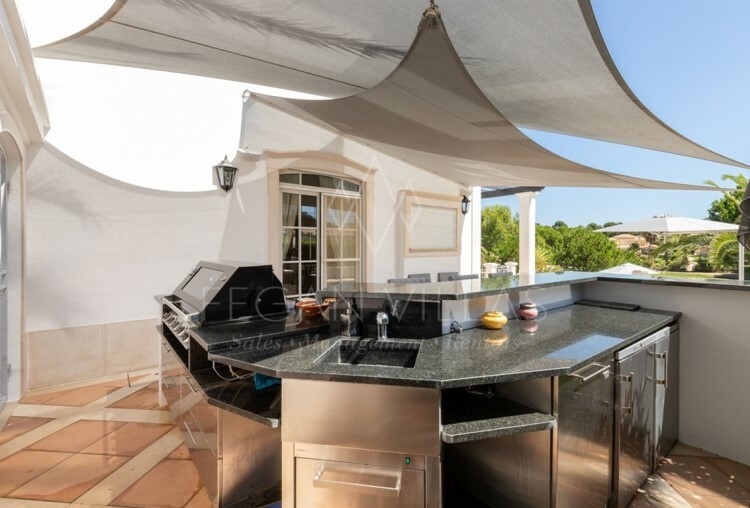 The outdoor area offers a pleasant and substantial swimming pool with extensive terraces for relaxing and sunbathing and a BBQ with Bar area, perfect to entertain and to enjoy the Algarve lifestyle.